The theme of the Summer box is ONE GIANT LEAP. This summer we are celebrating 50 years since Apollo 11 put men on the moon by creating a box that's all about the wonder of the moon! The featured book for this box is actually TWO books, combined into one. This duology is by one of the best-loved adventure novelists of all time. He's been called the Father of Science Fiction (a title he shares with a couple other authors), and he's the most translated sci-fi author in the world. As always, it has an exclusive woodwick candle in a unique container, a gorgeous enamel pin, and several other high-quality goodies. This quarterly box is for those readers who just can't get enough booknerd joy. Each box includes a custom-designed classic book, an exclusive candle unlike any of our normal candles, an enamel pin, and other bookish goodies. Seasonal boxes ship mid-month four times a year: March, July, September, and December. Subscriptions renew on the 15th the month before shipping. Second Star Books creates Bookish Gifts for Bookish People. 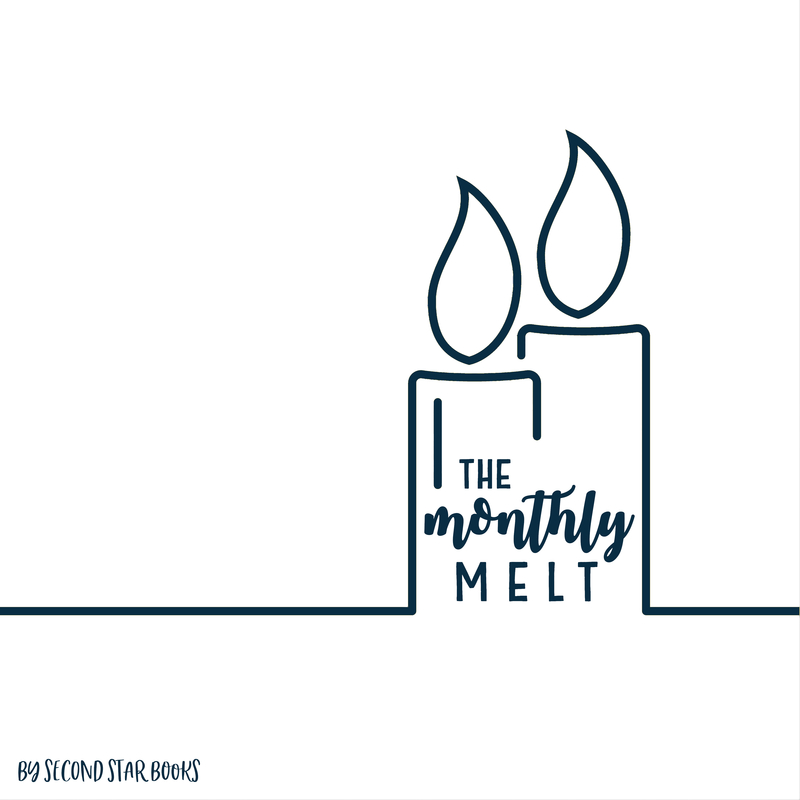 We have three subscription options: our Debut Author Launch box, a monthly YA books box; Second Star Seasonal, a premium quarterly box featuring custom classics; and The Monthly Melt, a monthly subscription of Bookish Candles for Bookish People.